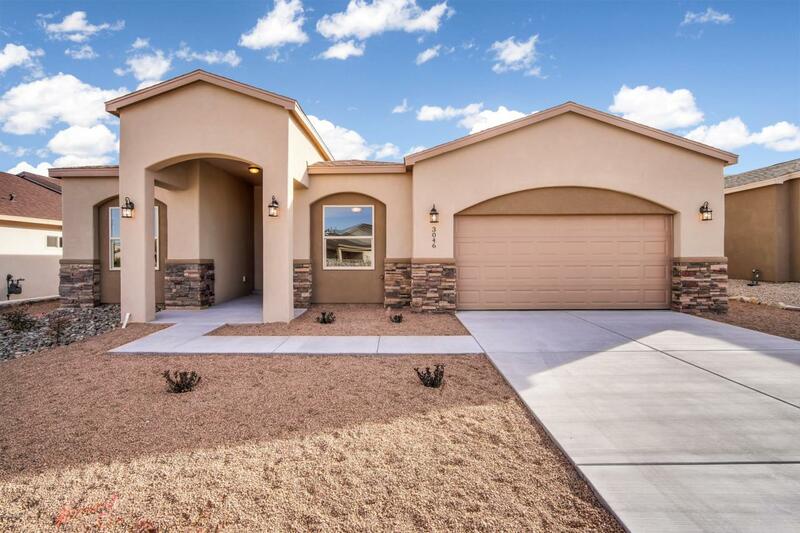 This brand new home is finished and ready for a new owner!! Custom built w/ an open floor plan! The large living room has a gas fireplace to keep you warm in the winter months. Gourmet kitchen has a breakfast bar for additional seating. Granite counters, appliance allowance, tile backsplash & dark maple cabinets w/ crown molding. Formal dining room w/ chandelier. 4 bedrooms, 2 bath, utility room & 2 car garage. Split plan w/ one room up front could be an office. Master bath offer double vanity, granite, garden tub, tiled shower & walk in closet. Low maintenance backyard. There is a covered patio where you can sit and enjoy the mountain view! Seller is offering an appliances allowance.